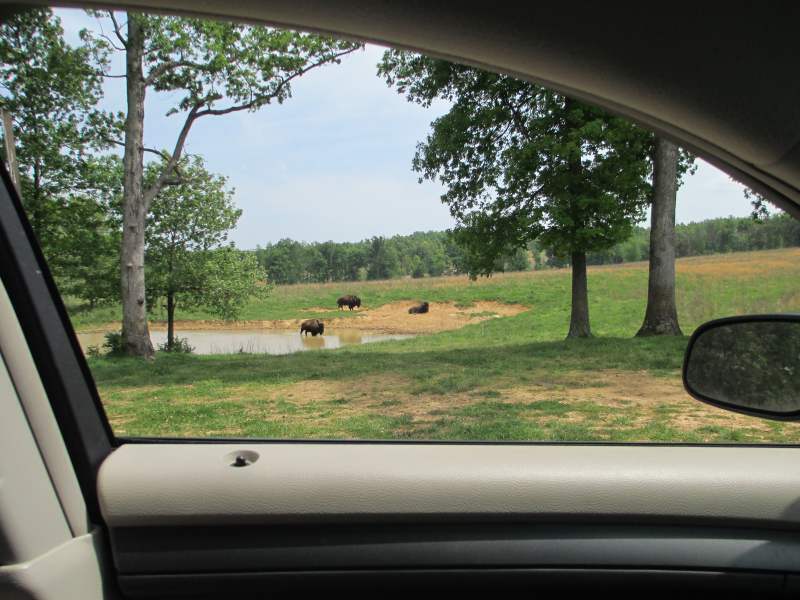 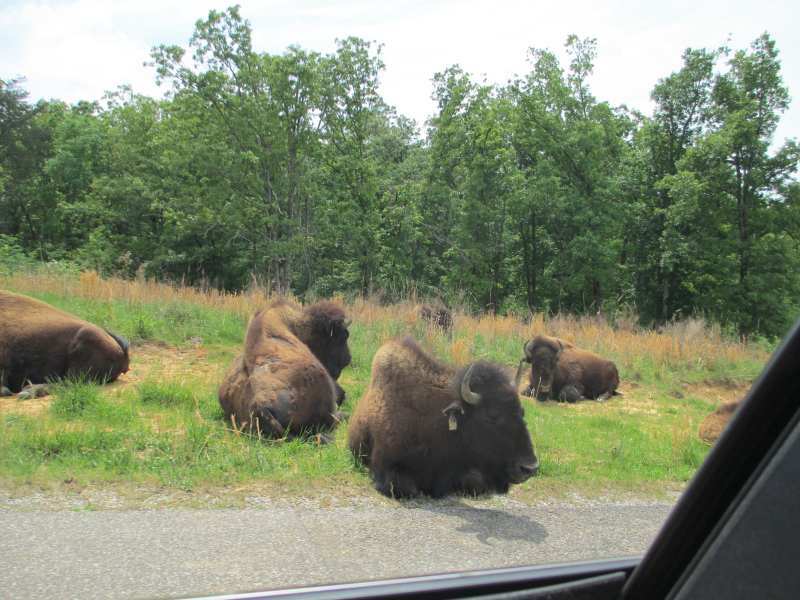 Whenever my husband asks if I’d like to go to the Elk & Bison Prairie (Land Between the Lakes) – I’m in the car before the words are completely out of his mouth. 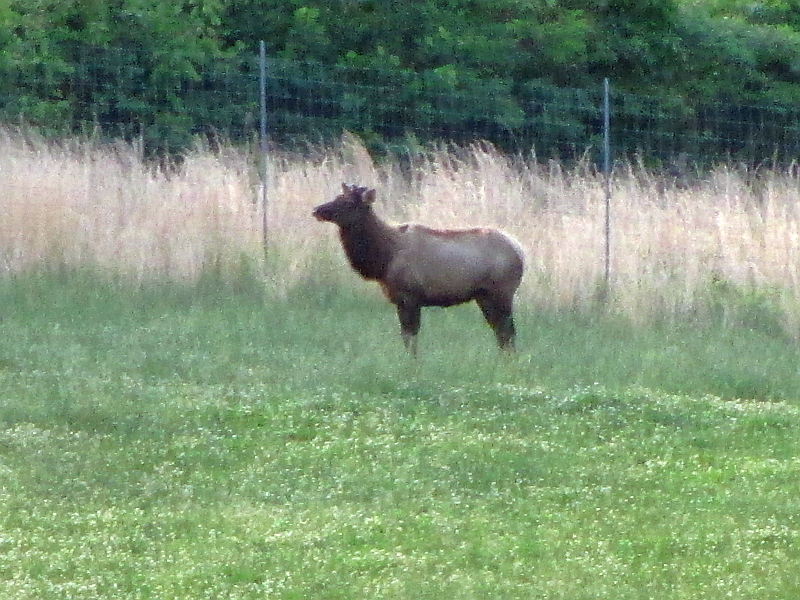 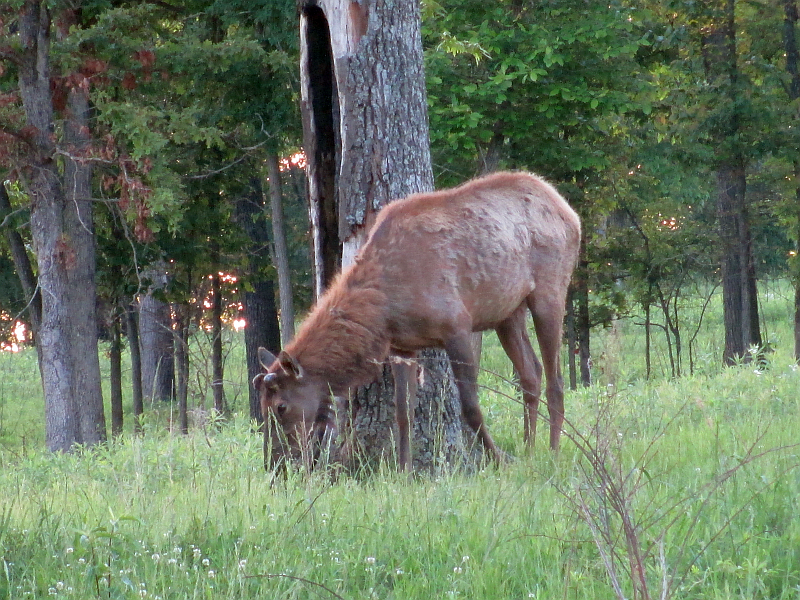 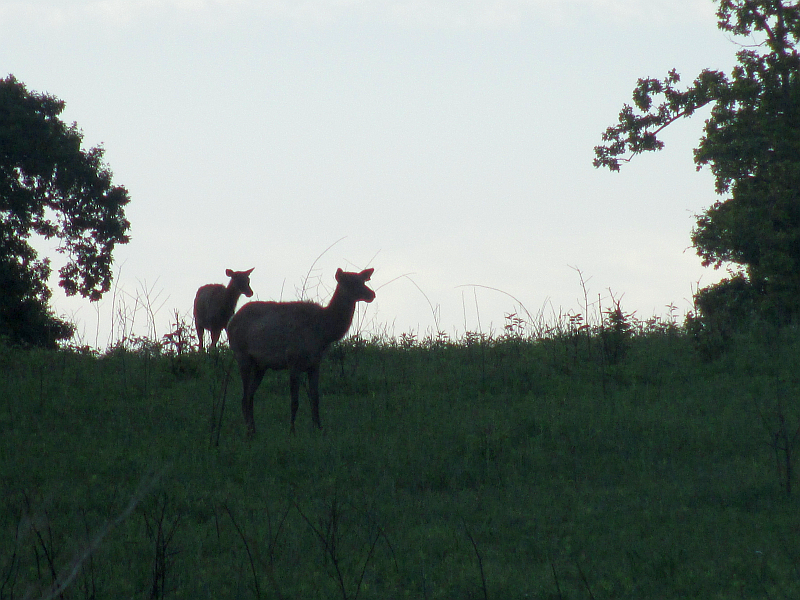 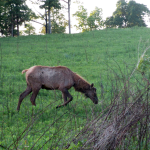 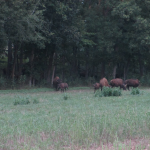 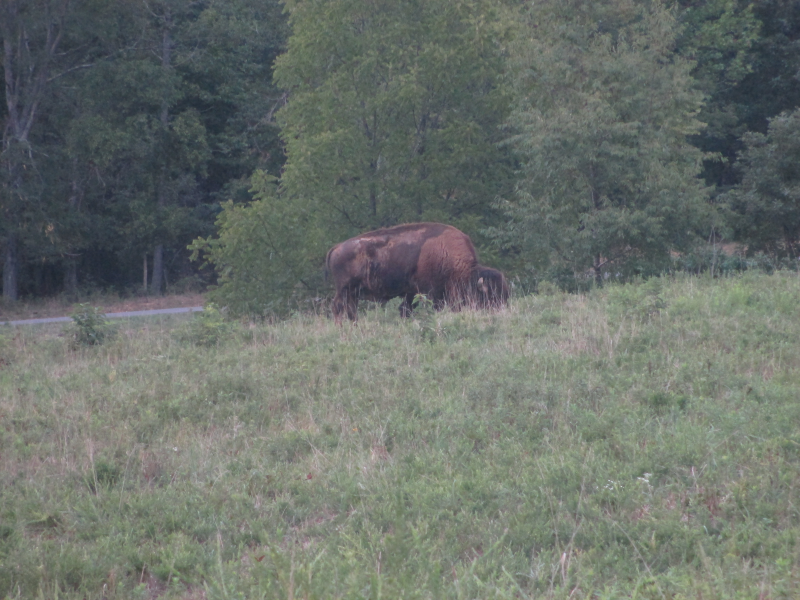 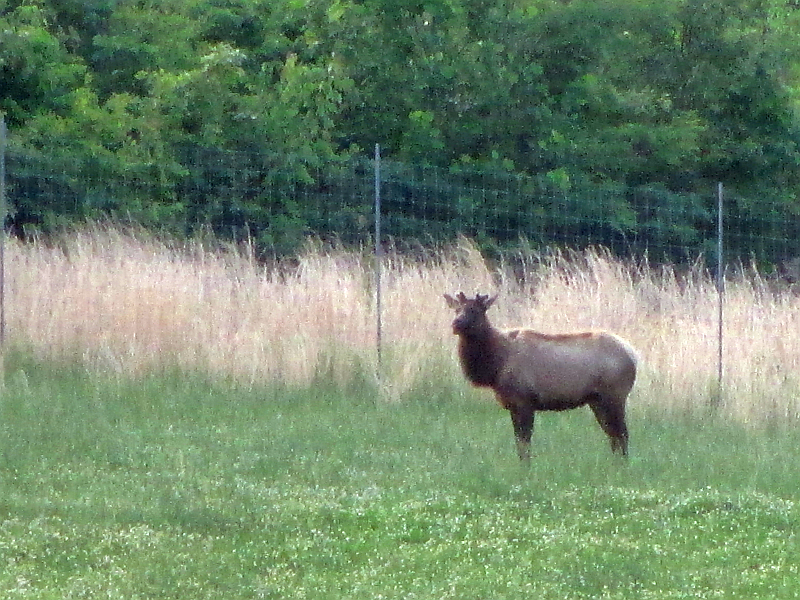 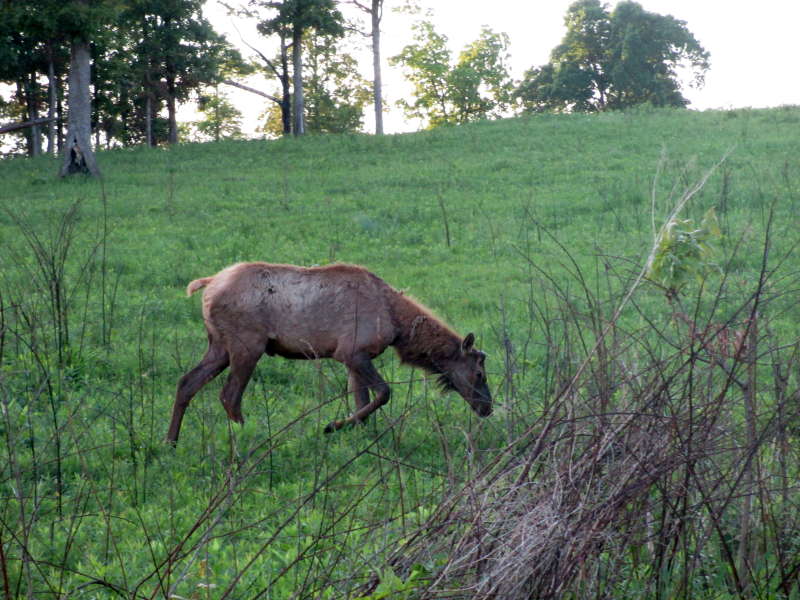 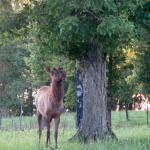 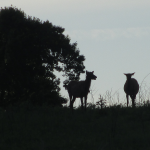 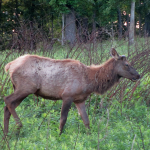 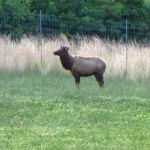 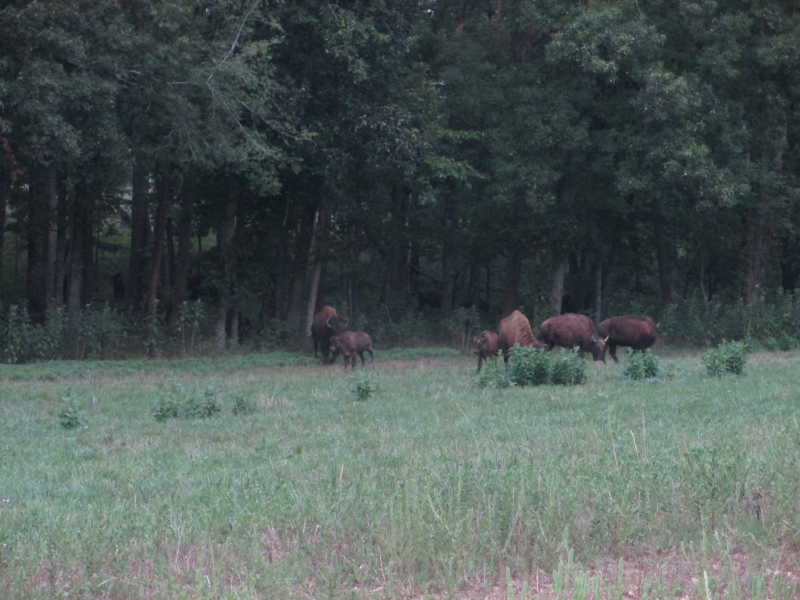 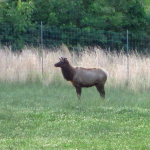 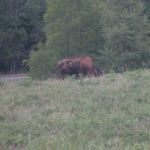 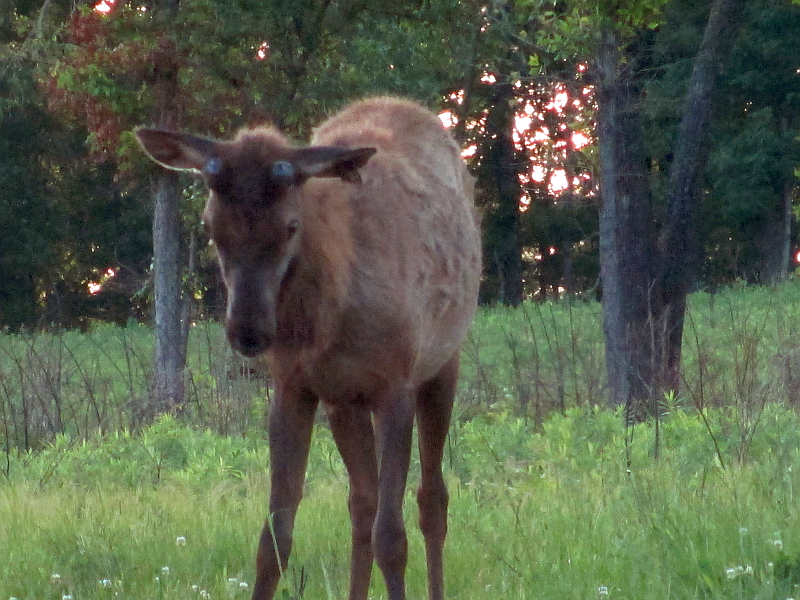 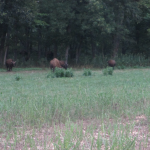 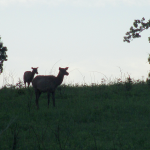 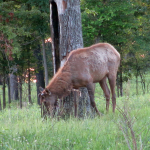 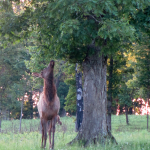 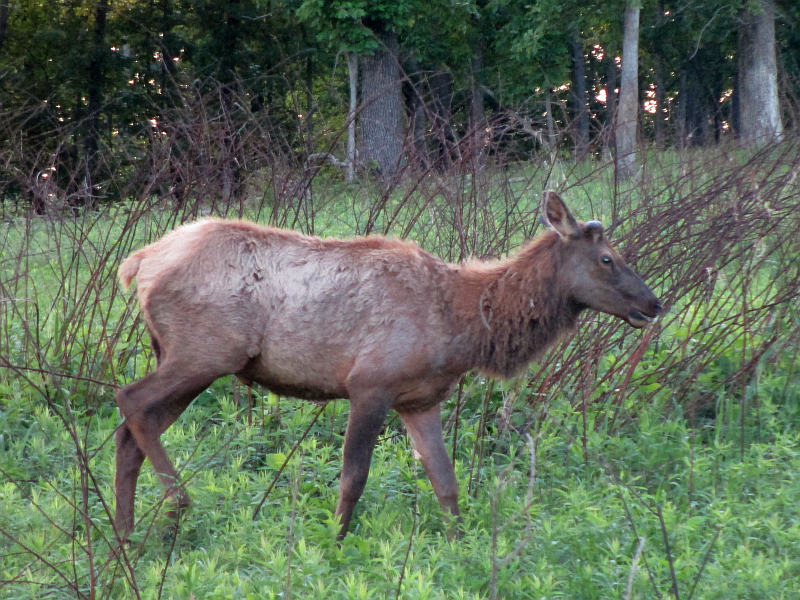 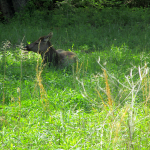 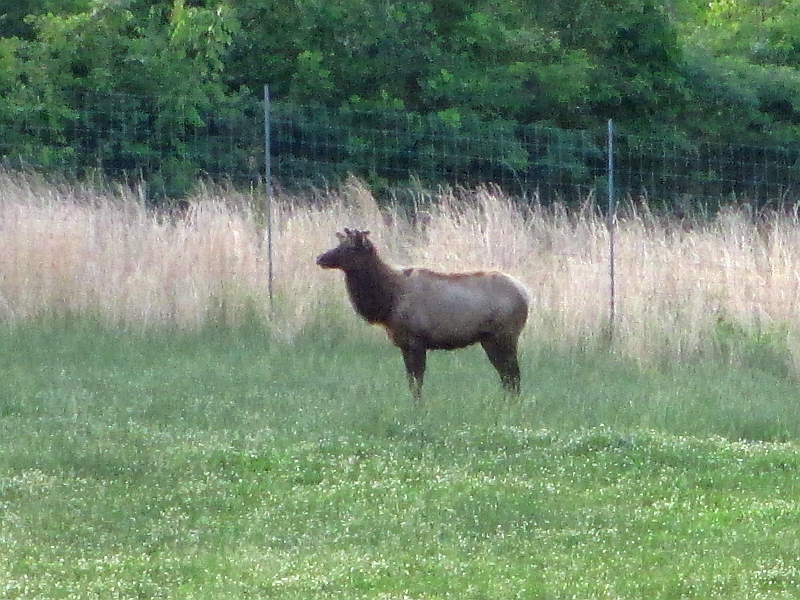 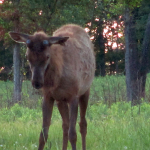 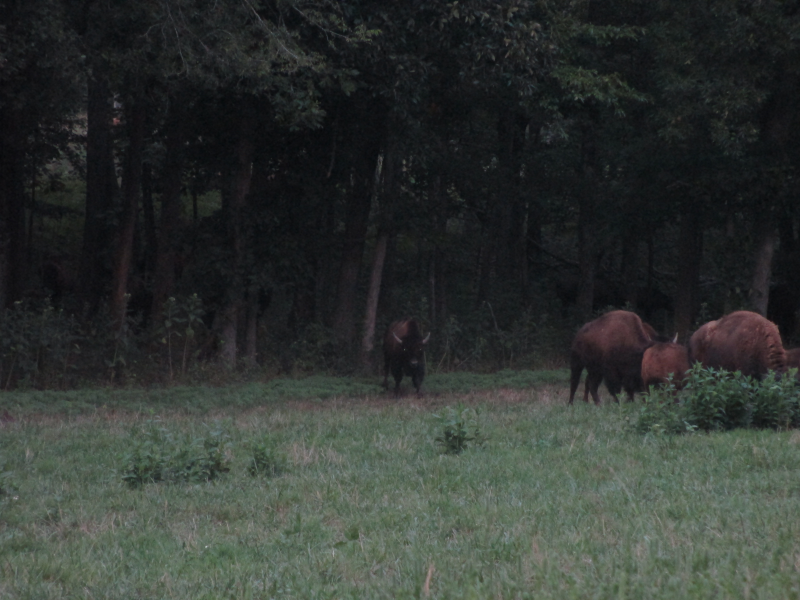 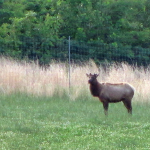 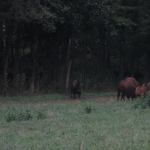 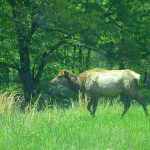 As soon as I hear Elk… I grab my purse, camera, sweet tea…. 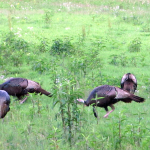 and we’re off. 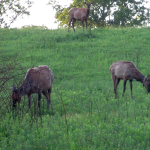 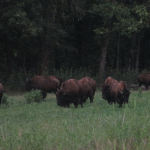 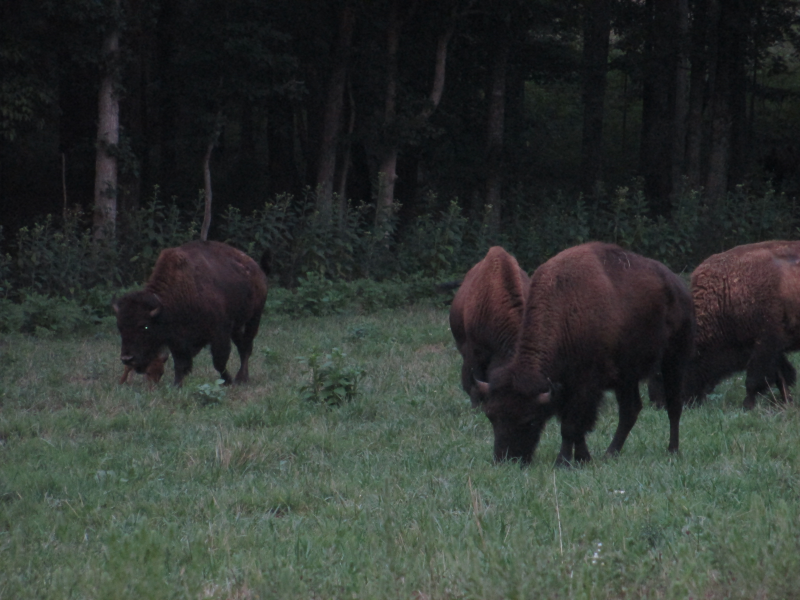 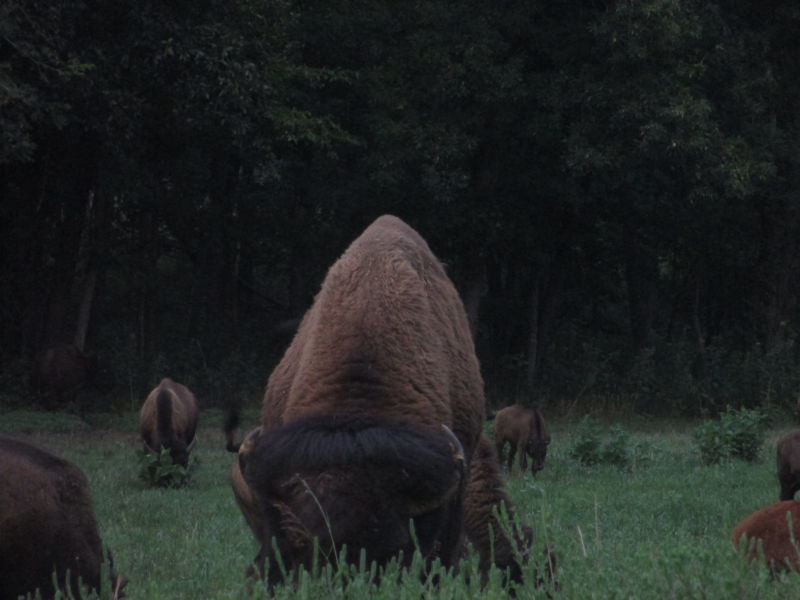 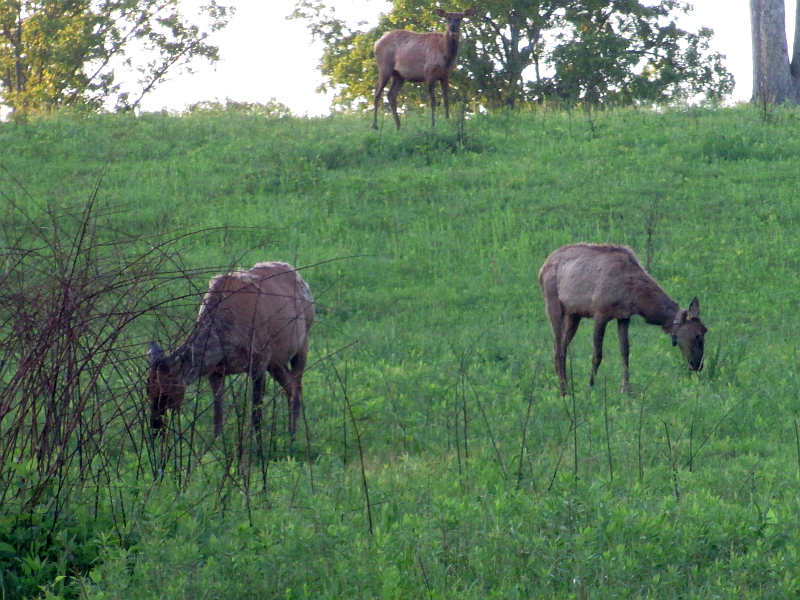 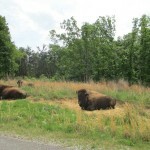 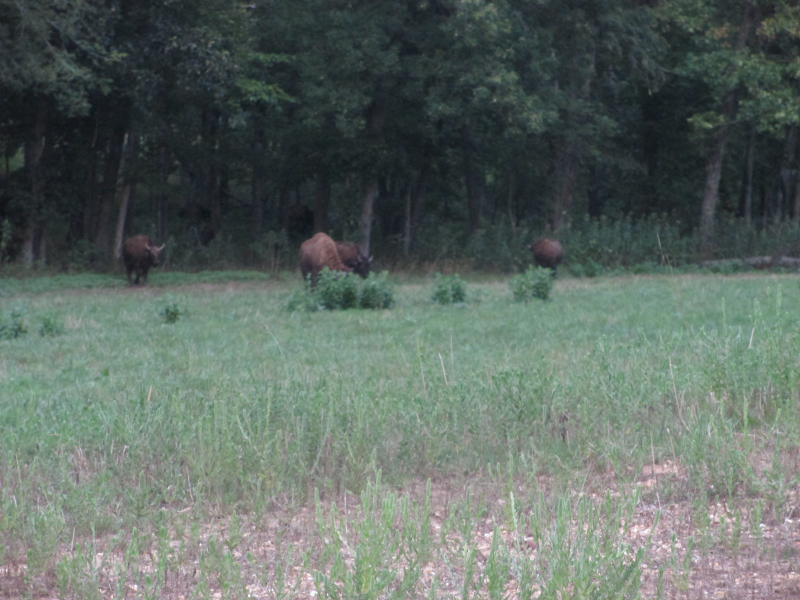 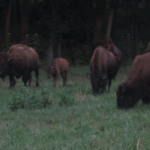 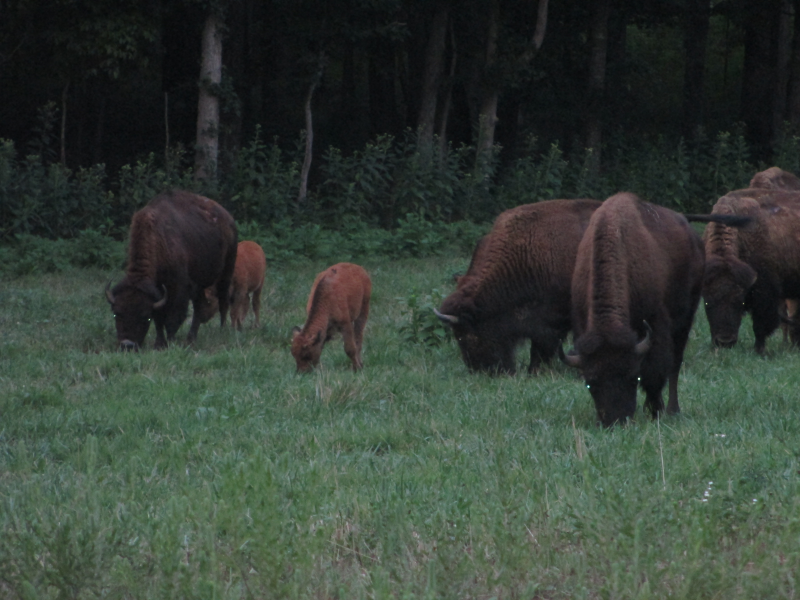 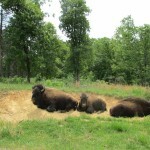 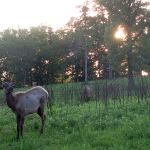 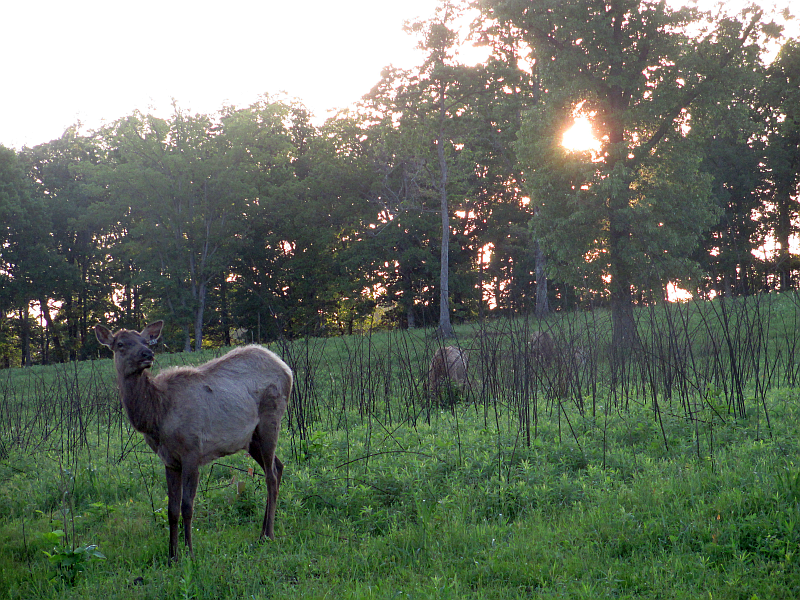 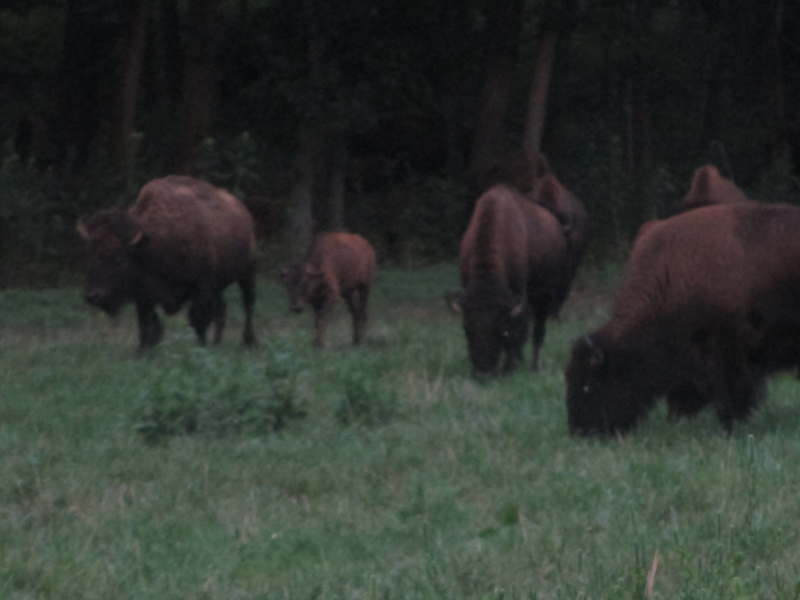 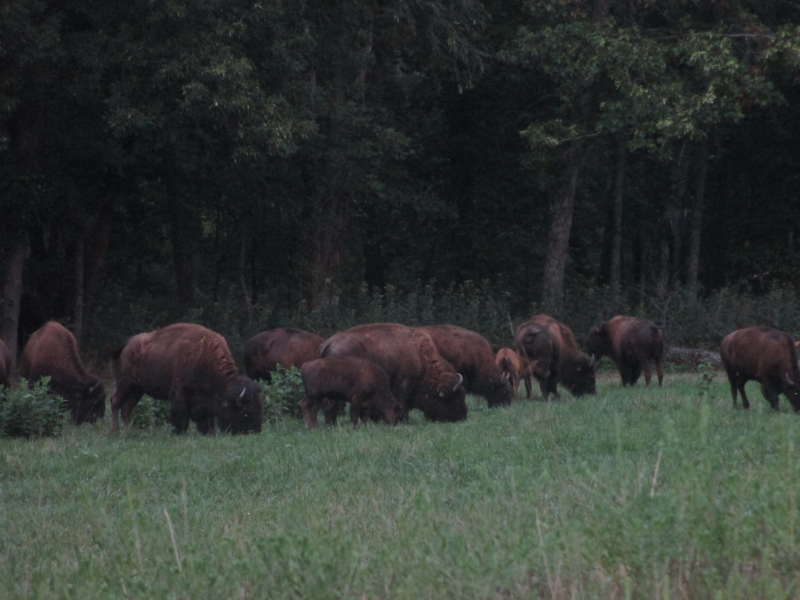 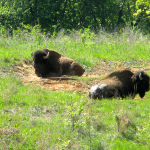 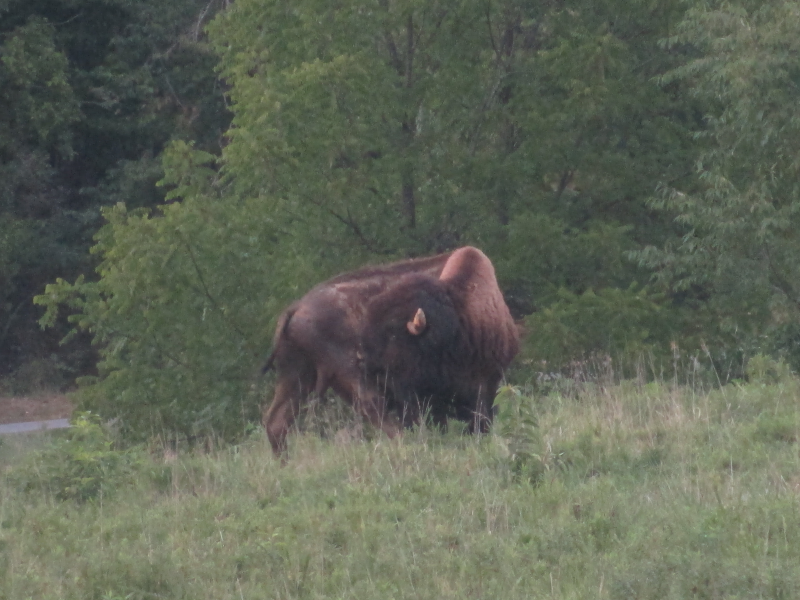 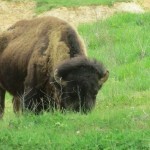 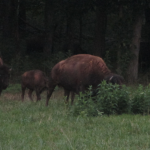 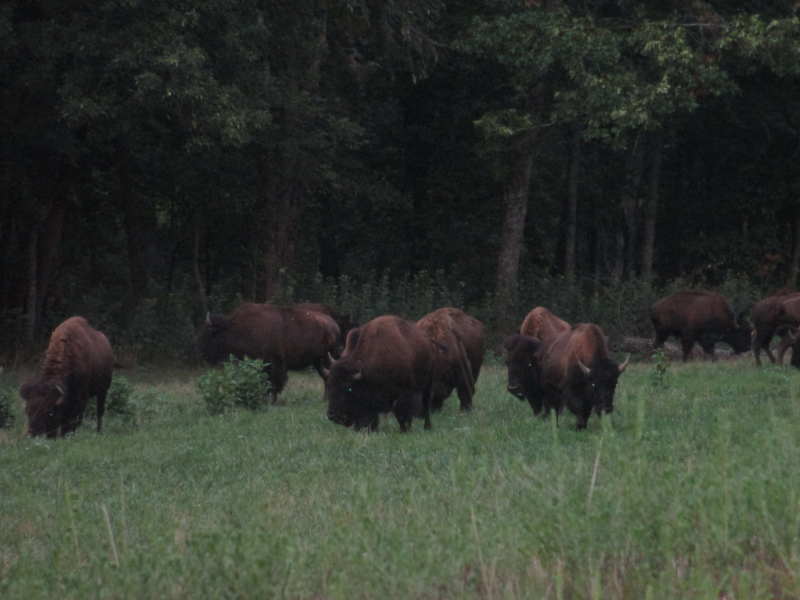 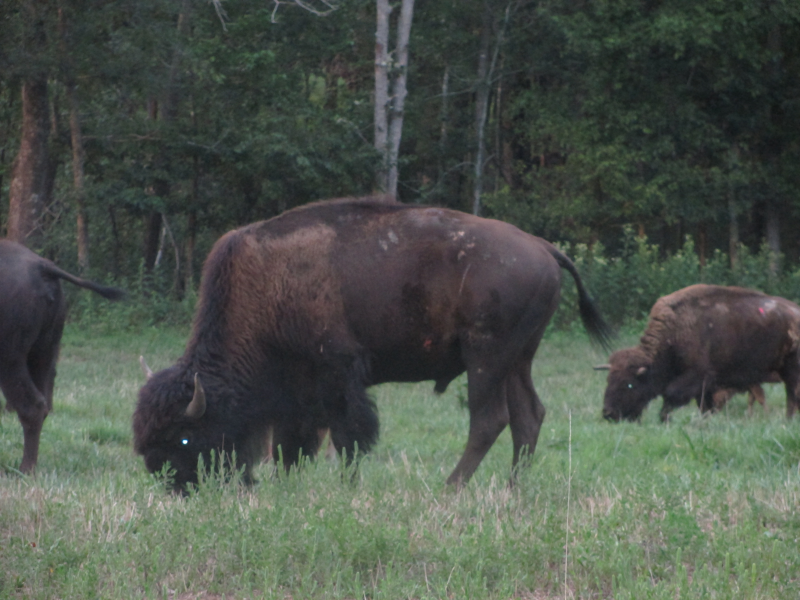 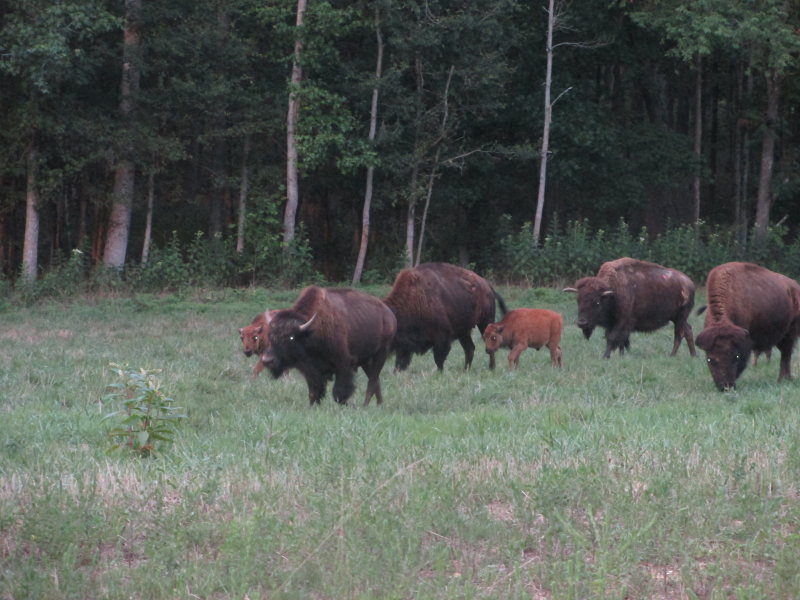 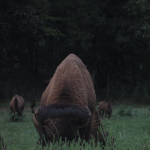 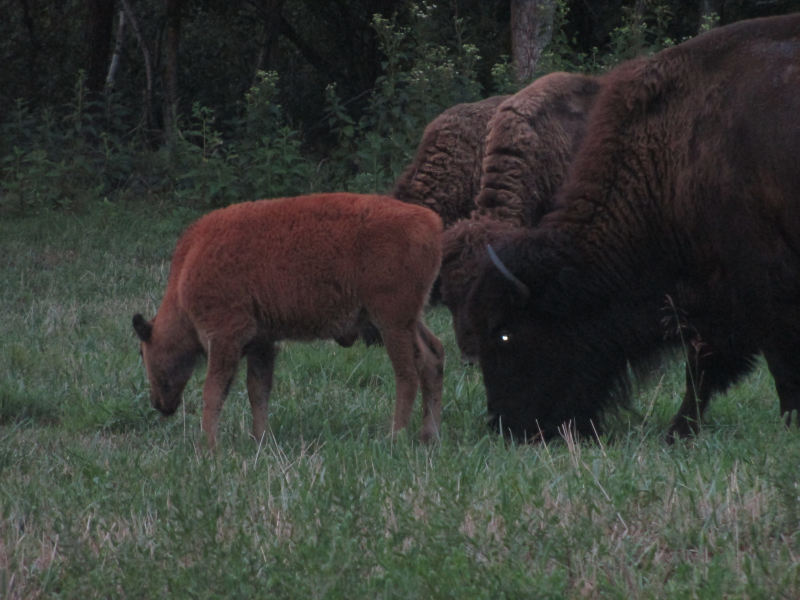 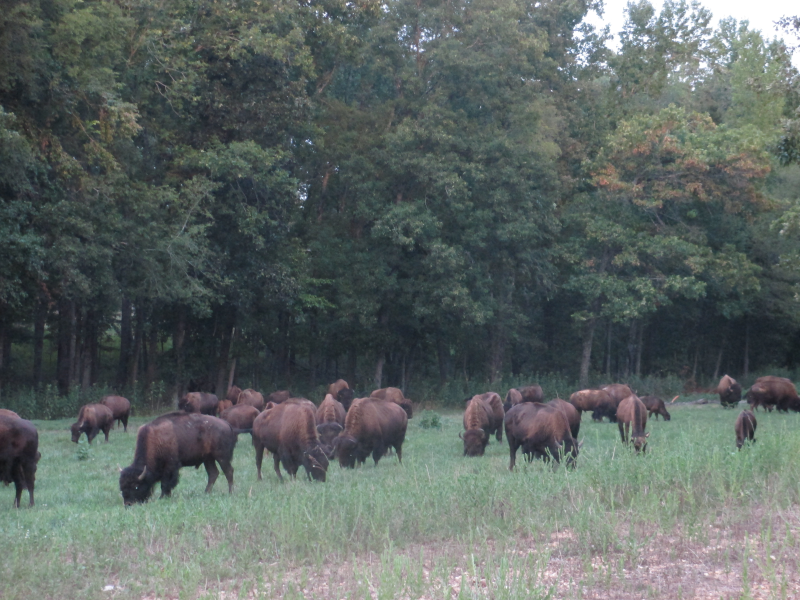 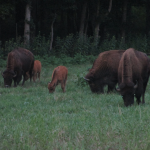 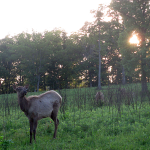 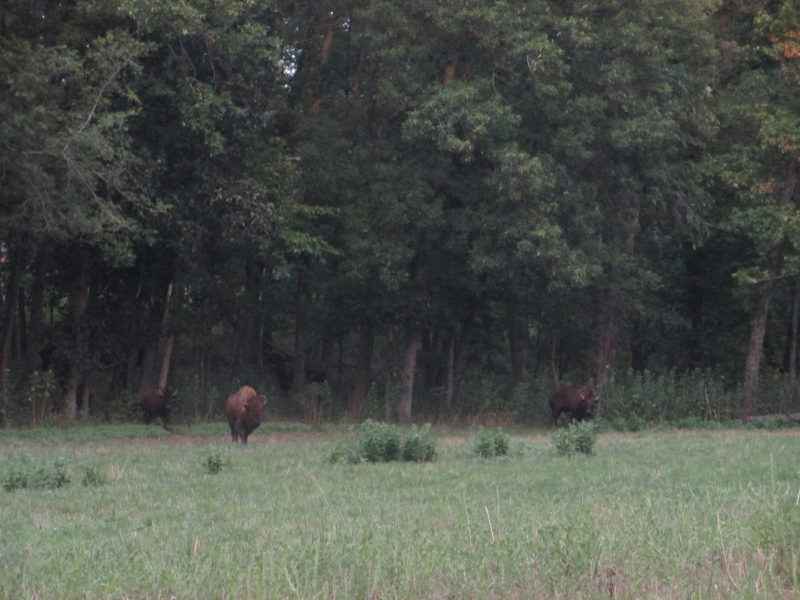 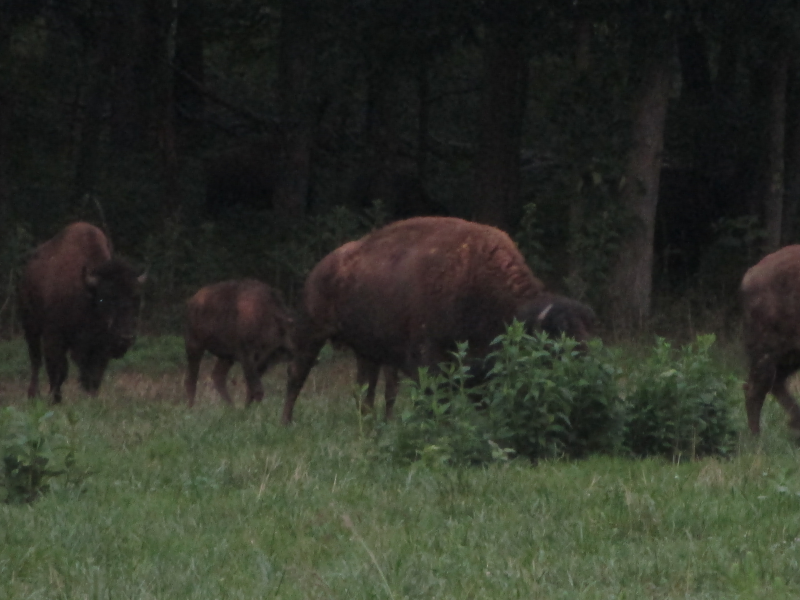 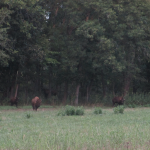 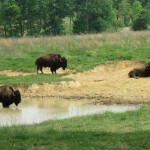 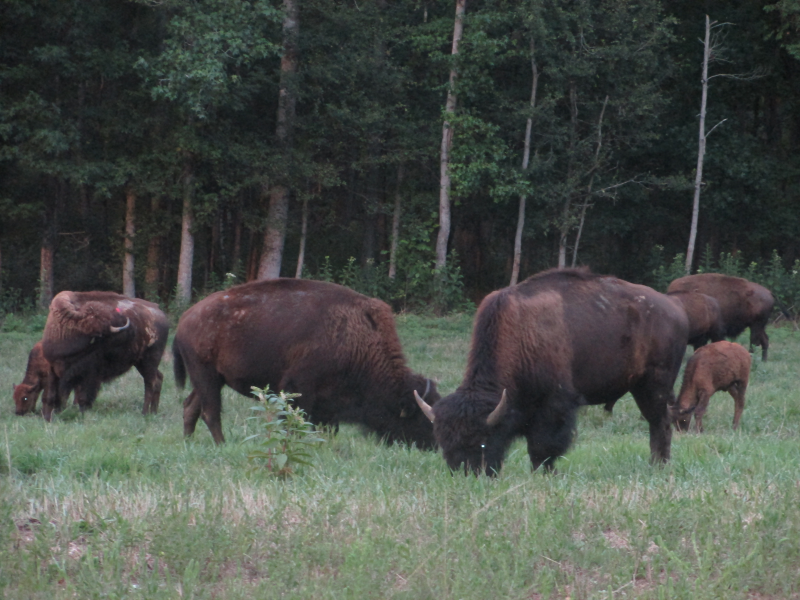 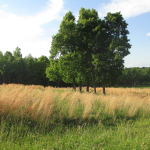 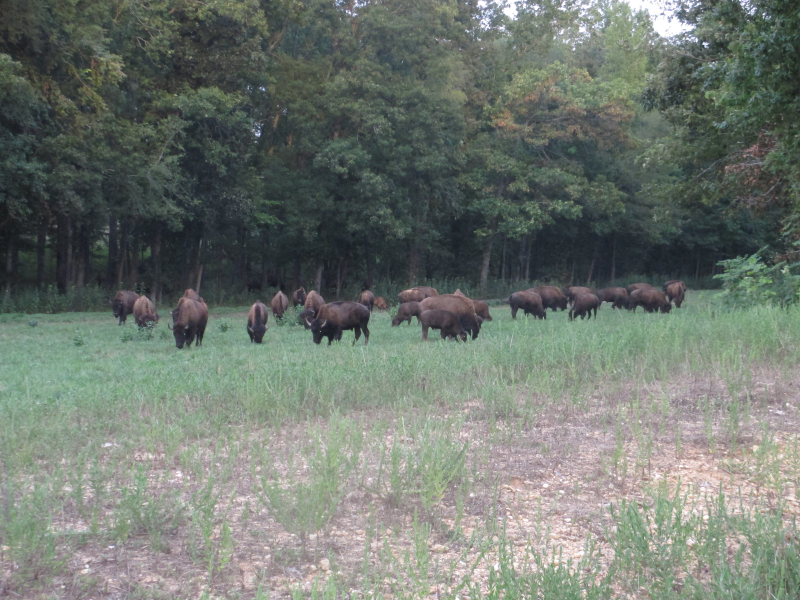 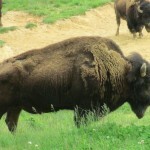 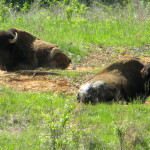 The Elk & Bison Prairie in Land Between the Lakes is one of my favorite places in the world… or could you tell? 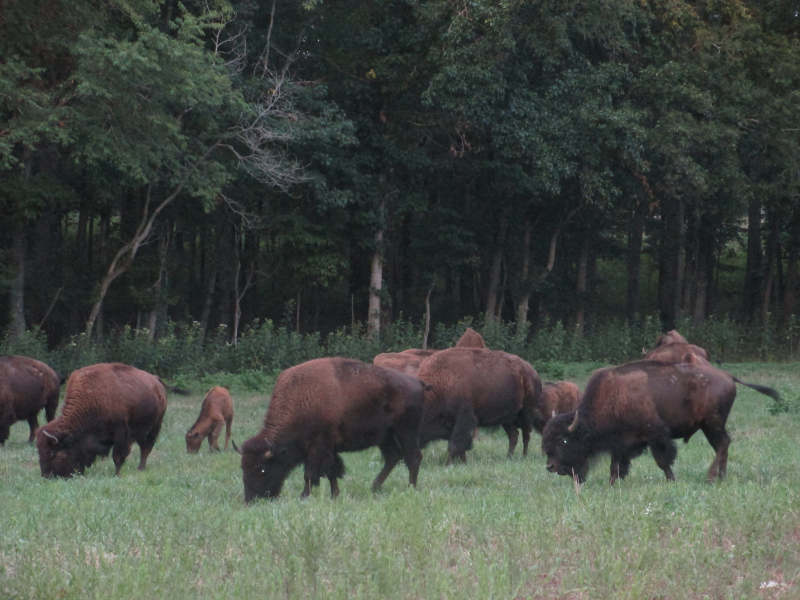 It’s part of what I think of as “Kentucky’s answer to Disneyland” – The Land Between the Lakes (LBL). 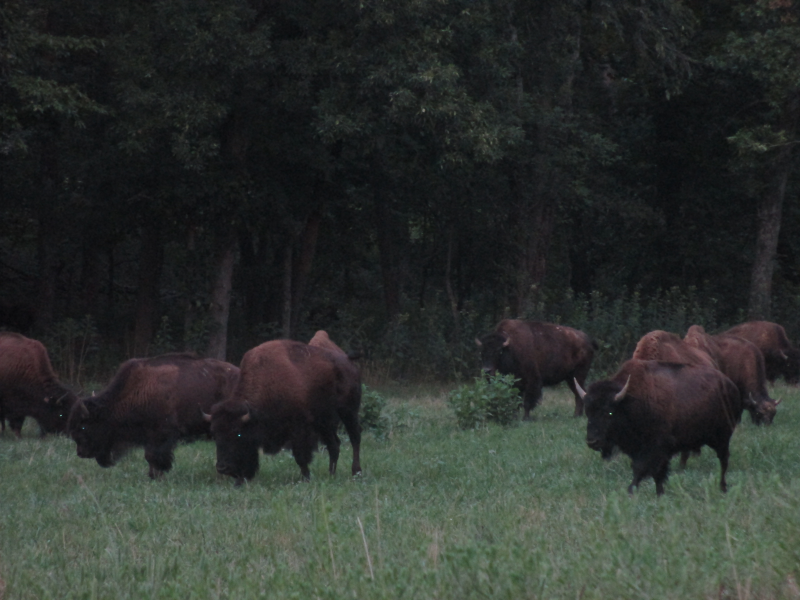 The prairie is Heaven on Earth for an animal lover like me. 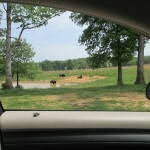 Absolute Heaven. 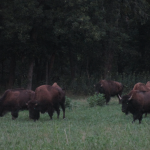 This beautiful and vast Prairie is a 700-acre enclosure restoration (and celebration) of a native habitat. 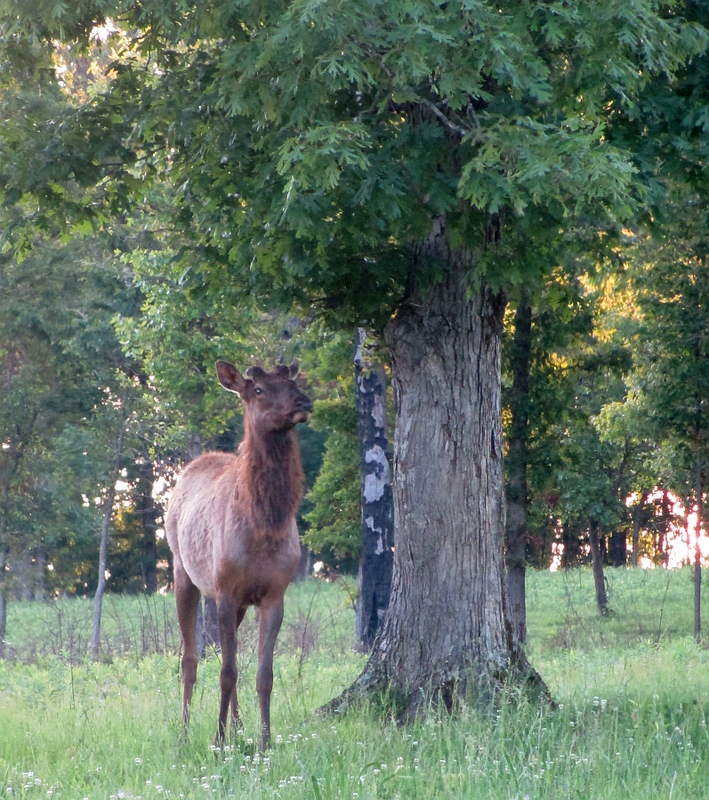 There are precious few places in the country where man has made it a point NOT to touch. 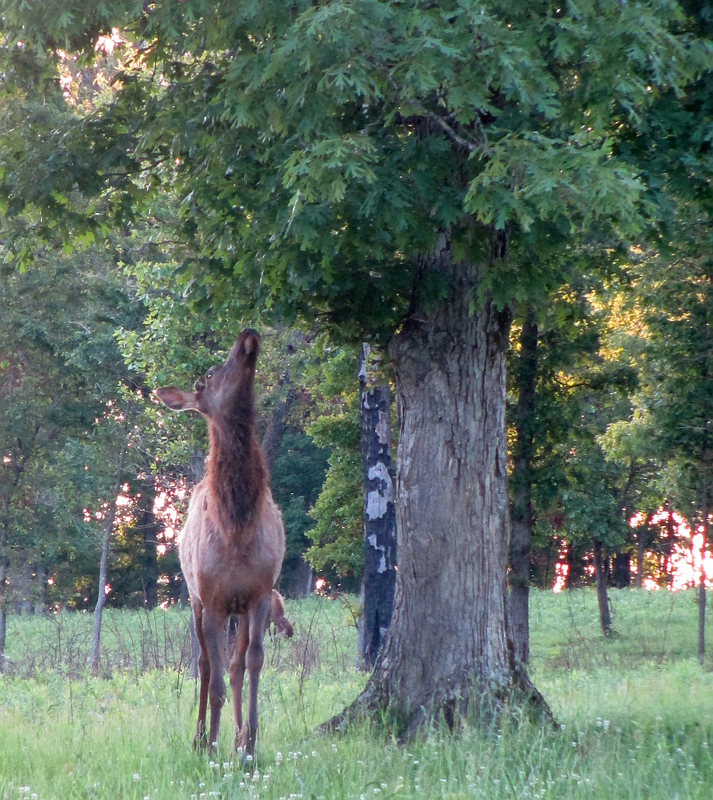 To just leave it as it’s meant to be. 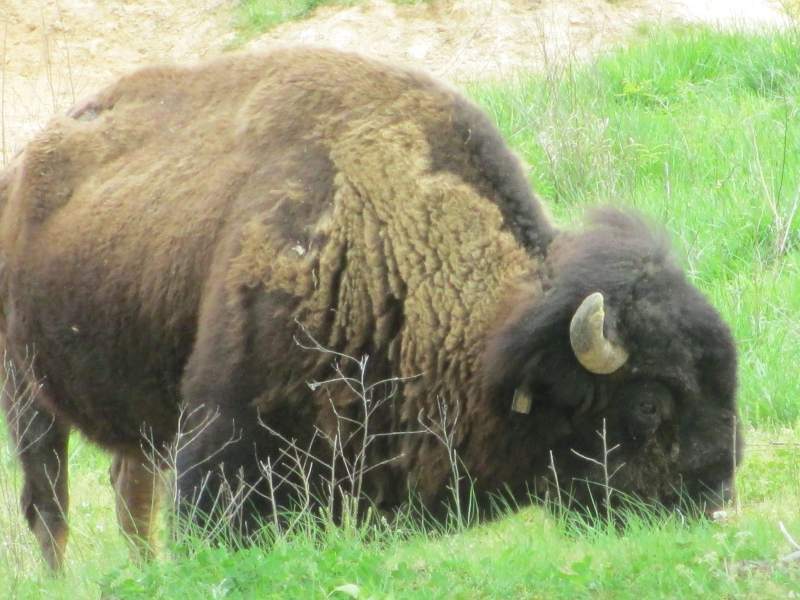 These places are extra special – and this one, in particular, is even more special because gorgeous Elk and Bison are its proud residents. 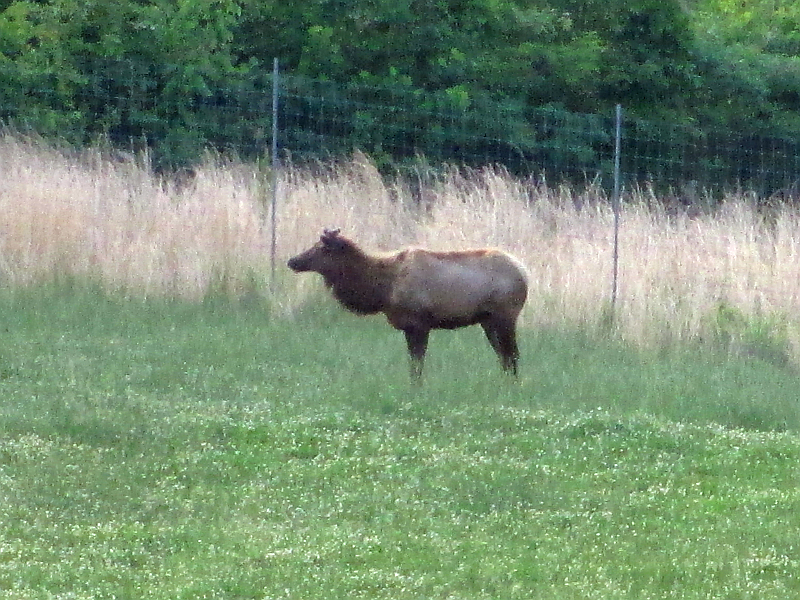 Elk and Bison were reintroduced to this area years ago and have roamed freely since. 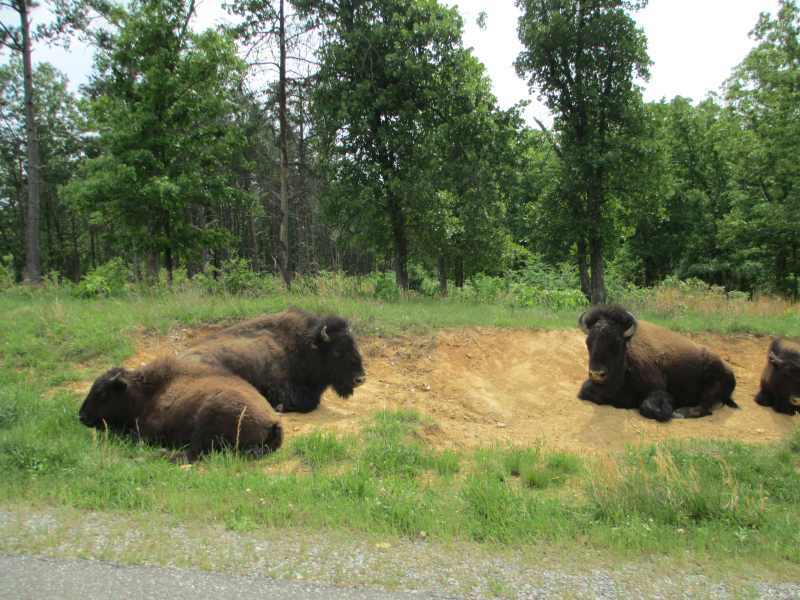 They’re protected and lovingly watched over by rangers. 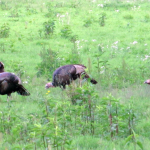 Numerous other wildlife species also call the Prairie home: wild turkeys, small prairie mammals, and too many birds to even try to list. 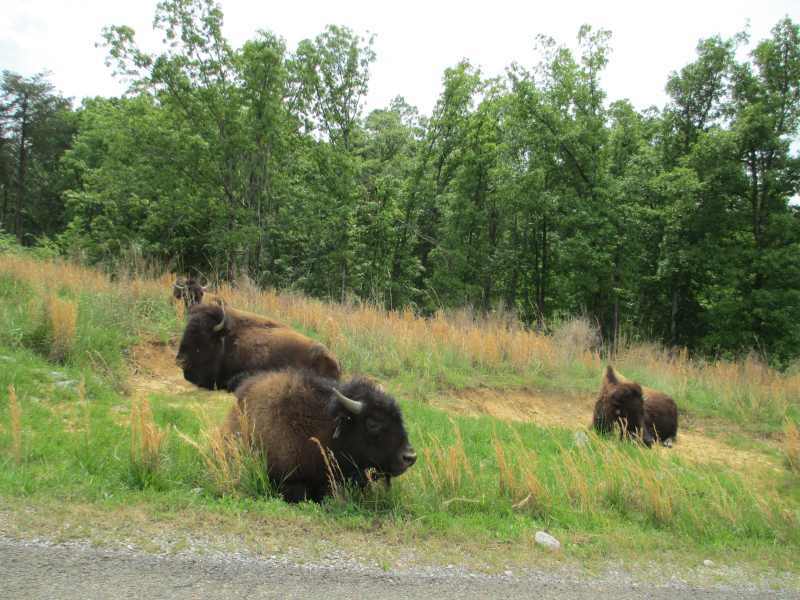 Visitors can enjoy the area via a 3.5-mile loop road. 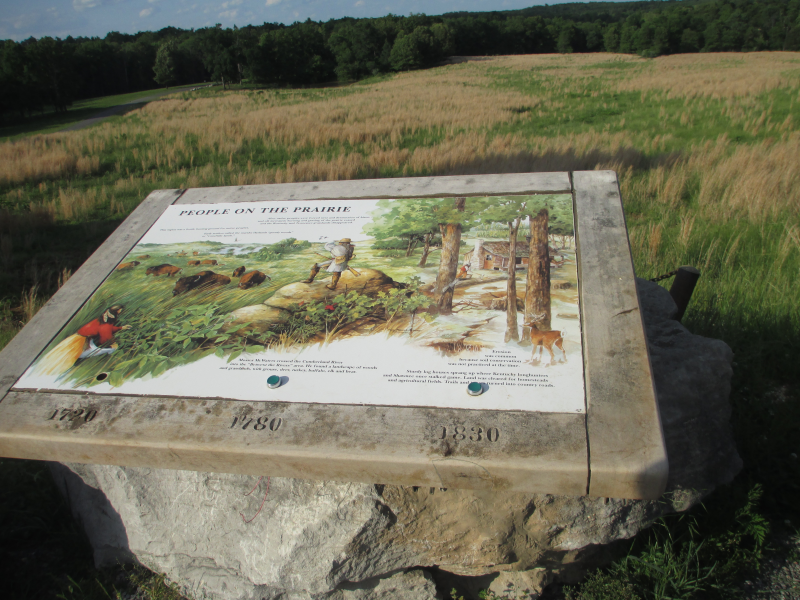 There are three interpretive stops along the route for visitors to learn more about prairie ecosystem. 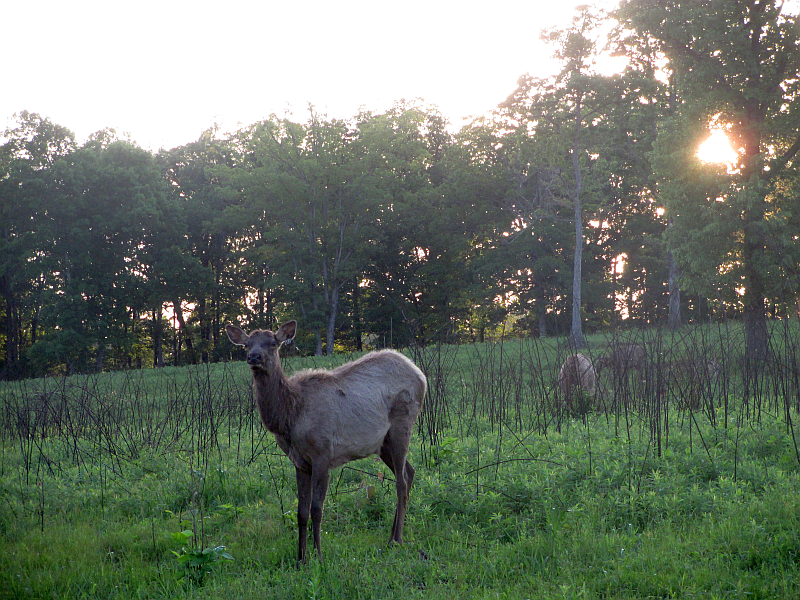 The Prairie is open from dawn to dusk every day of the week, all year. 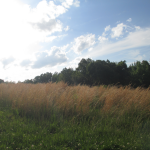 We usually make a point of going at least once in each season because the Prairie sets a different tone throughout the year. 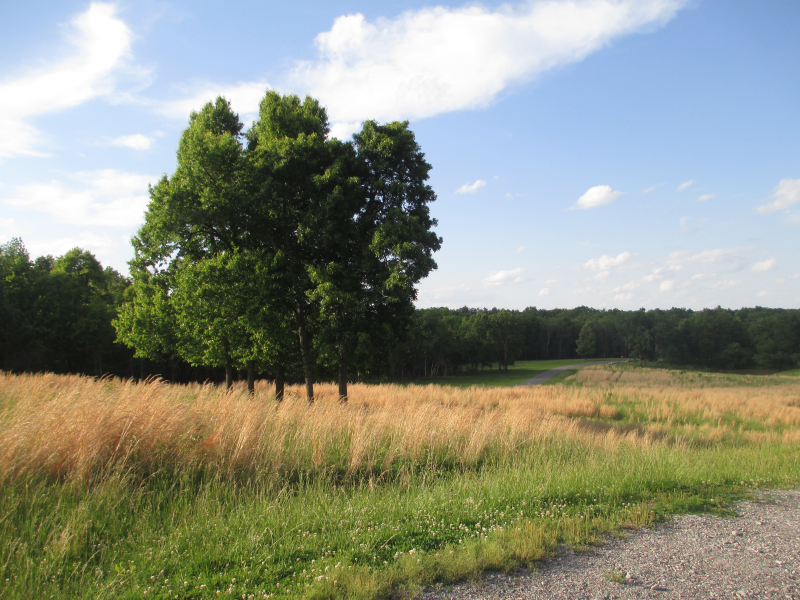 The Spring and Summer bring wildflowers and beautiful shades of green while Autumn puts on a colorful show that you won’t soon forget. 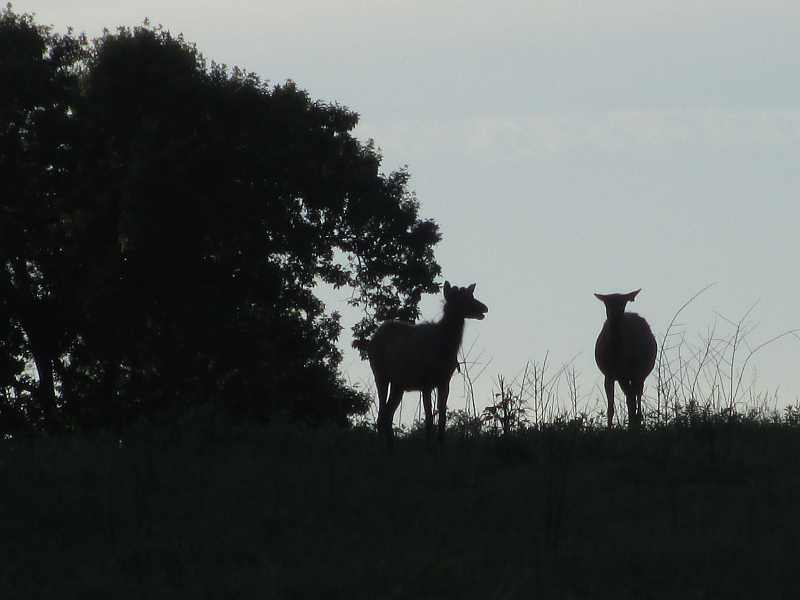 But don’t forget about Winter! 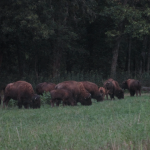 Winter is actually a great time to see wildlife in the Prairie (and throughout Land Between The Lakes). 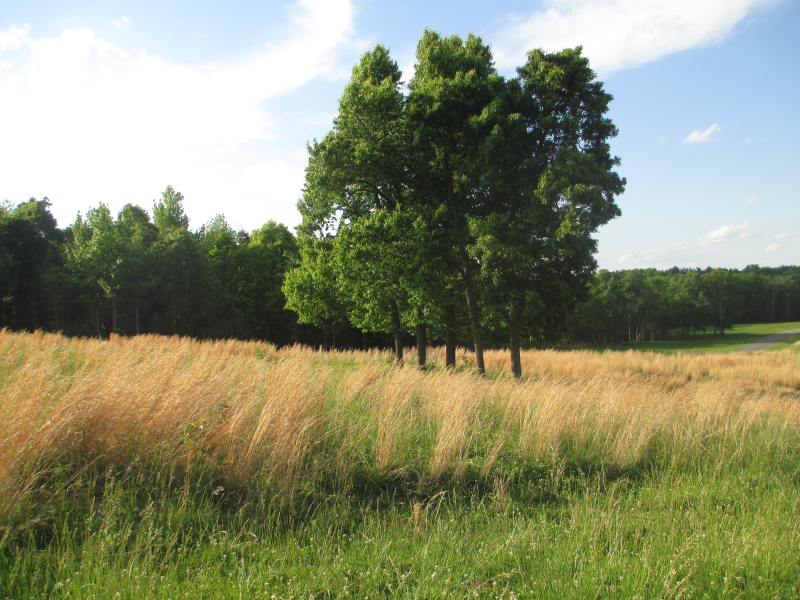 There are fewer leaves to obstruct your vision. 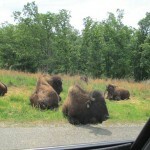 You can drive through the prairie as many times as you’d like (up till closing, of course). 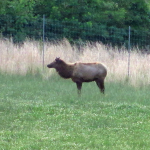 We always see bison when we go and, more times than not, we see elk. 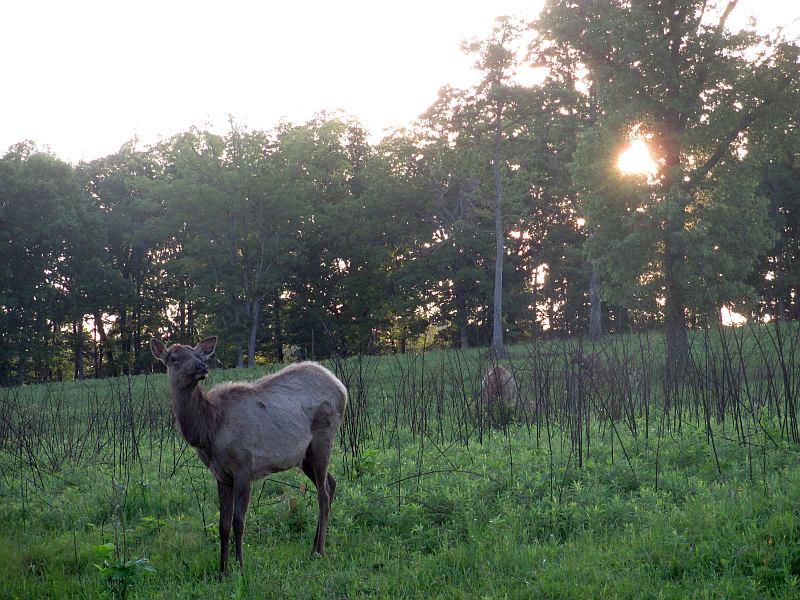 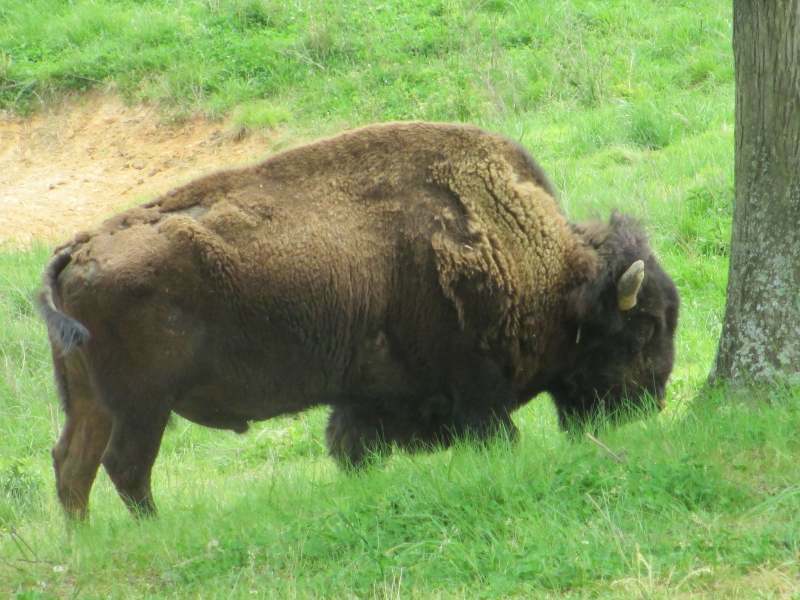 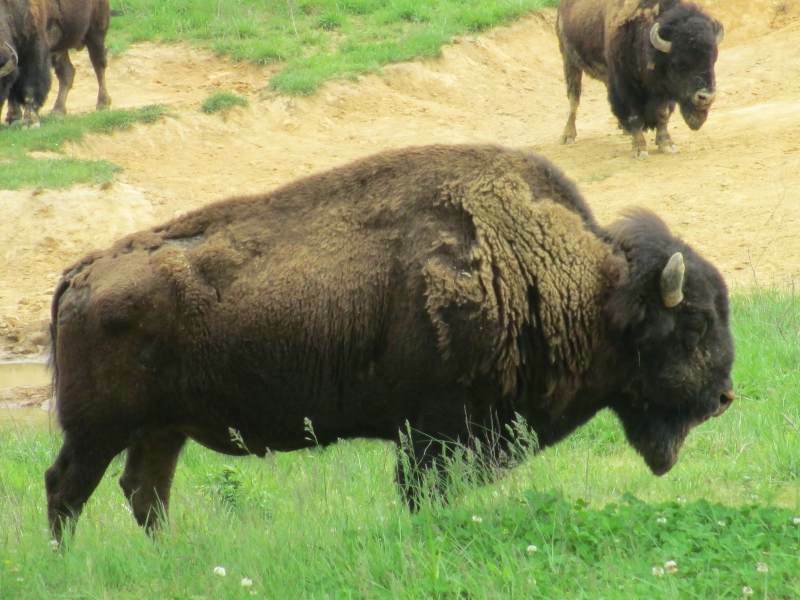 The big, beautiful animals in the Elk & Bison Prairie will take your breath away. 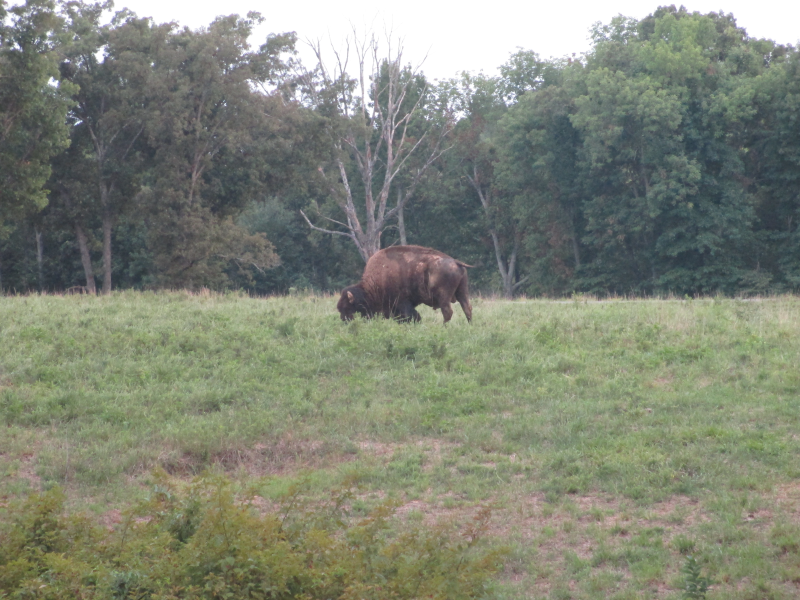 As you can see from the picture above (and more below), the Prairie, itself, is a beautiful sight to see. 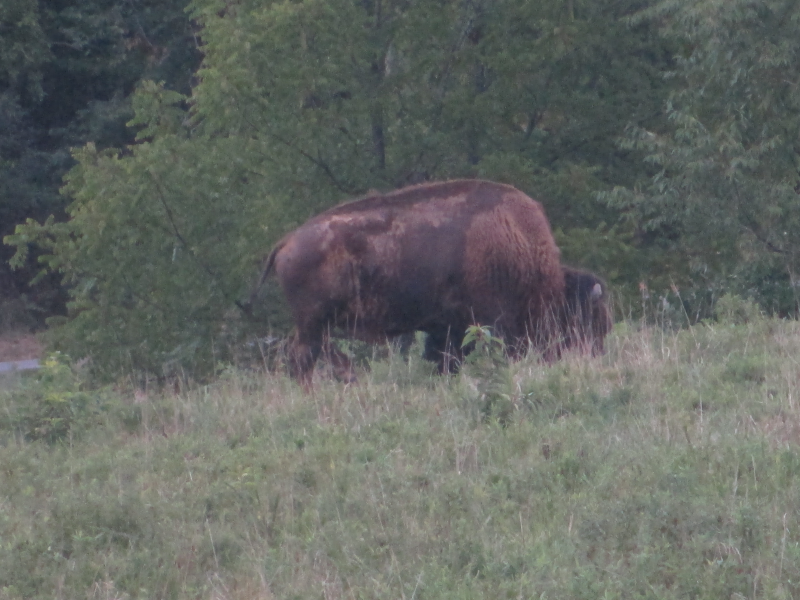 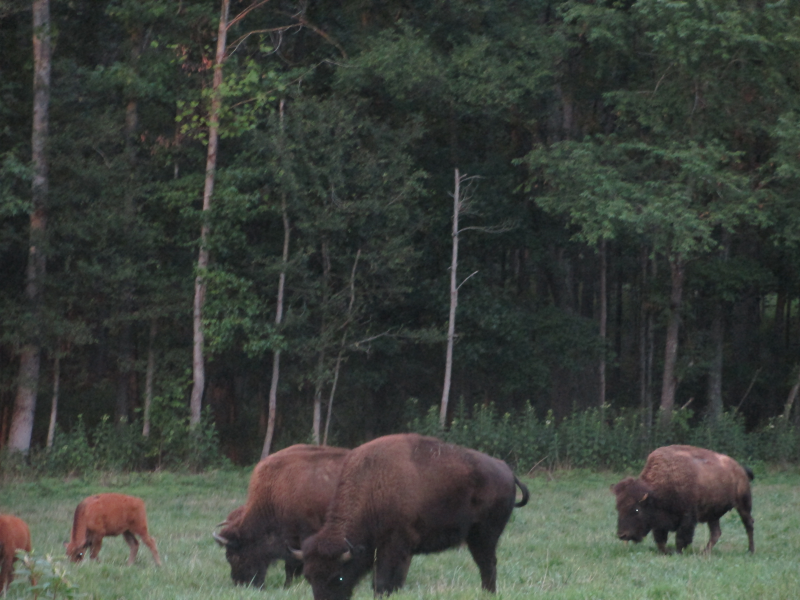 Given the fact that bison are one of my favorite animals – you’ll find more pictures of bison on Genuine Kentucky than you’ll probably anywhere else in the world. 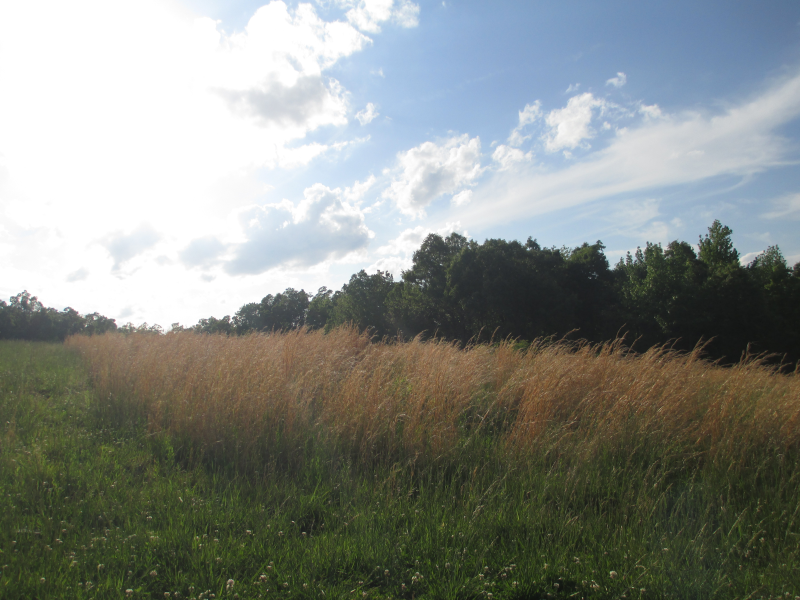 The Prairie, Itself, is a Beauty! 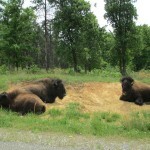 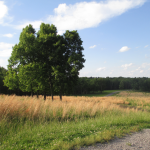 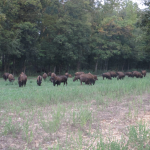 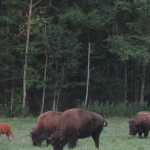 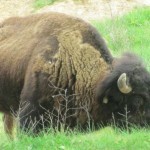 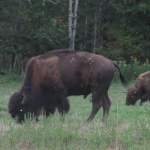 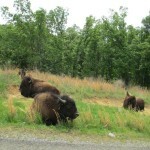 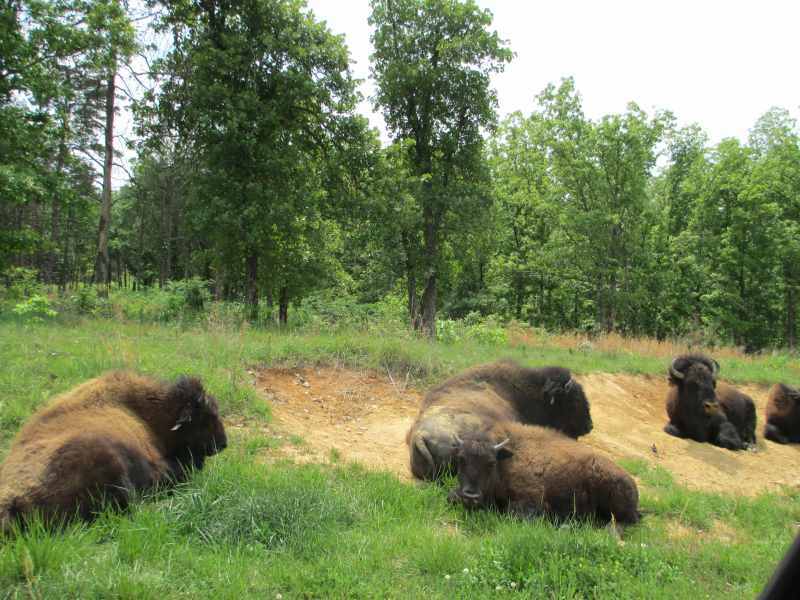 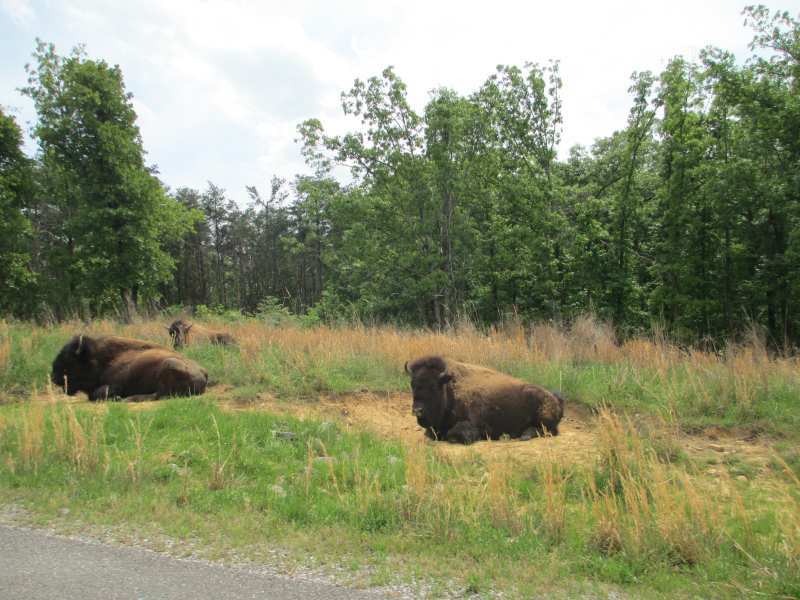 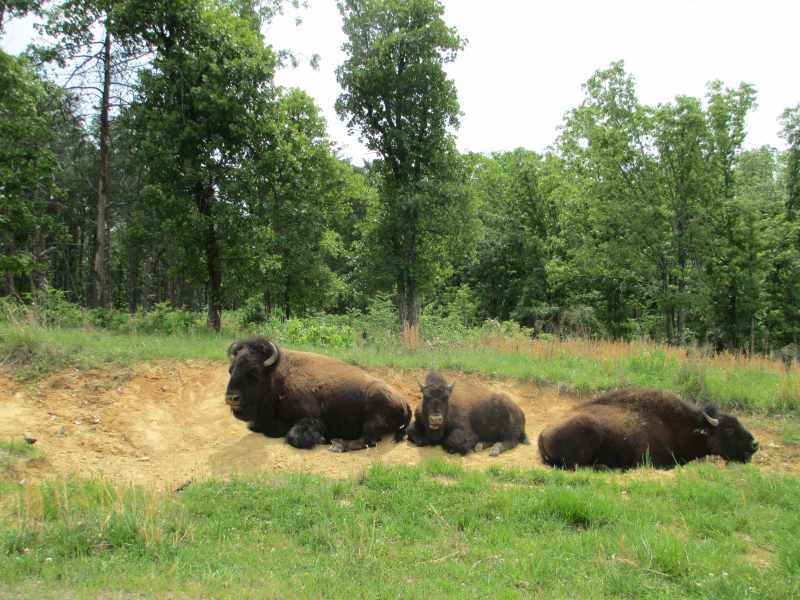 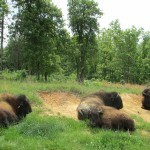 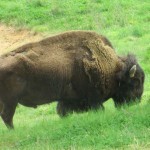 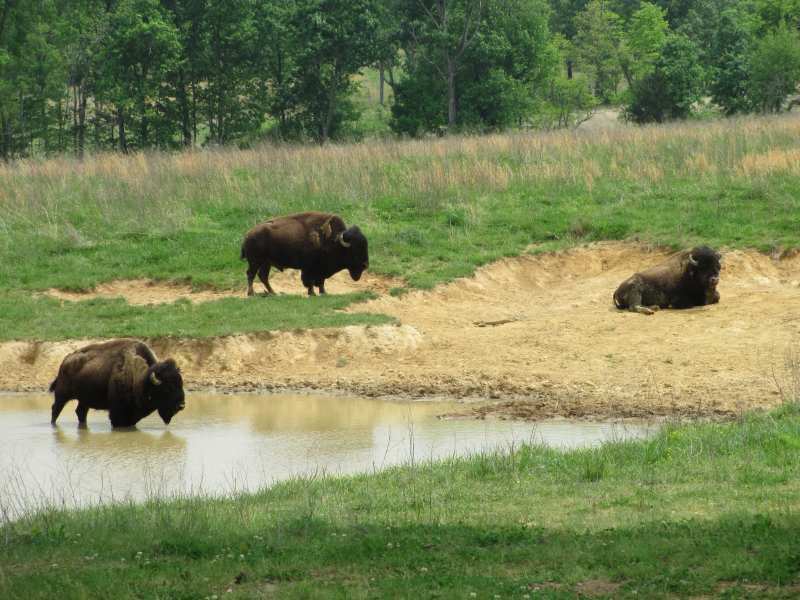 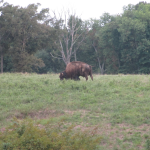 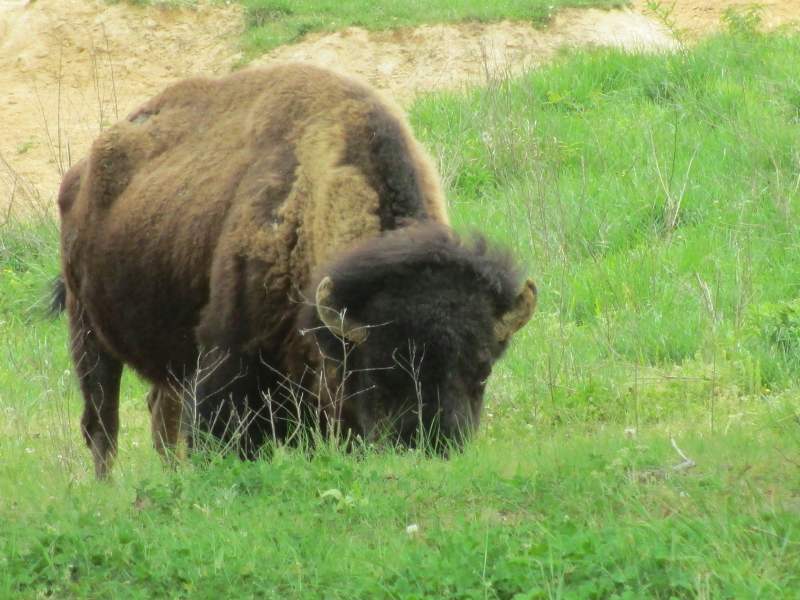 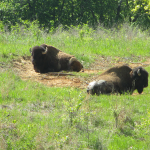 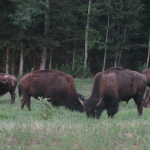 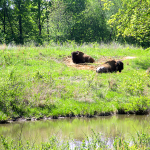 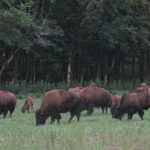 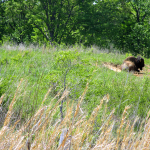 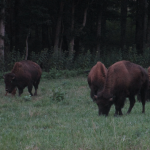 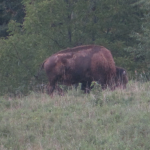 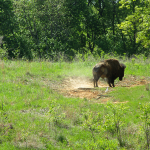 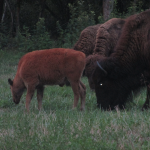 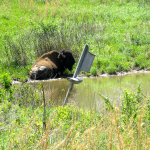 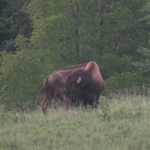 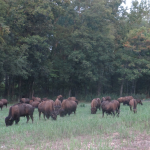 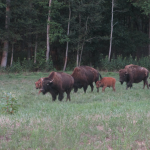 More pictures of the Land Between the Lakes, as well as more bison pictures, can be found by visiting the main page of our Land Between the Lakes Photo Album. 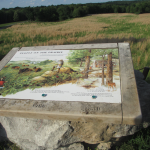 Read more about the Land Between the Lakes on their official website.